WASHINGTON (CNS) — The Trump administration Oct. 6 issued interim rules expanding the exemption to the contraceptive mandate for religious employers, such as the Little Sisters of the Poor, who object on moral grounds to covering contraceptive and abortion-inducing drugs and devices in their employee health insurance. The contraceptive mandate was put in place by the Department of Health and Human Services under the Affordable Care Act. While providing an exemption for religious employers, the new rules maintain the existing federal contraceptive mandate for most employers. President Donald Trump had pledged to lift the mandate burden placed on religious employers during a White House signing ceremony May 4 for an executive order promoting free speech and religious liberty, but Catholic leaders and the heads of a number of Catholic entities had criticized the administration for a lack of action on that pledge in the months that followed. From the outset, churches were exempt from the mandate, but not religious employers. The Obama administration had put in place a religious accommodation for nonprofit religious entities such as church-run colleges and social service agencies morally opposed to contraceptive coverage that required them to file a form or notify HHS that they will not provide it. Many Catholic employers still objected to having to fill out the form. The HHS mandate has undergone numerous legal challenges from religious organizations, including the Little Sisters of the Poor and Priests for Life. A combined lawsuit, Zubik v. Burwell, made its way to the U.S. Supreme Court, where the justices in May 2016 unanimously returned the case to the lower courts with instructions to determine if contraceptive insurance coverage could be obtained by employees through their insurance companies without directly involving religious employers who object to paying for such coverage. Senior Health and Human Services officials who spoke to reporters Oct. 5 on the HHS rule on the condition of anonymity said that the exemption to the contraceptive mandate would apply to all the groups that had sued against it. 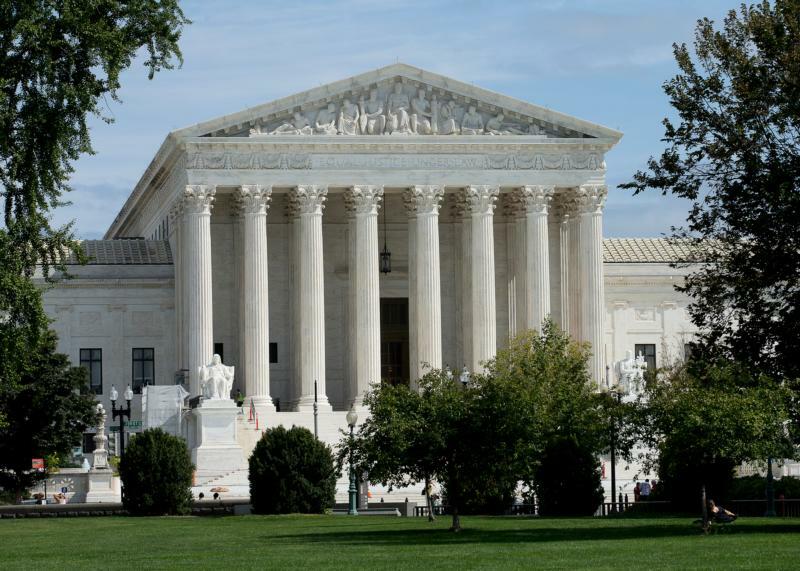 Groups suing the mandate all the way to the Supreme Court include the Little Sisters of the Poor, the Archdiocese of Washington, the Diocese of Pittsburgh, Eternal Word Television Network and some Catholic and other Christian universities. In reaction immediately after the 150-page interim ruling was issued, religious groups that had opposed the mandate were pleased with the administration’s action. He said the rule “carves out a narrow exemption” and keeps the contraceptive mandate in place for those without moral or religious objections to it. He noted that it does not provide immediate relief for those groups who had challenged it, such as the Little Sisters of the Poor, which Becket represents. They will “still need relief in courts,” he said, but was confident now that it would happen. Rienzi, noted that the HHS rule could have eliminated the contraceptive mandate completely but it did not do so. He also said the new rule is open for comments for a 90-day period and will likely face legal challenges, which already began in a lawsuit filed Oct. 6 by the American Civil Liberties Union on behalf of members of the ACLU and Service Employee International Union-United Health Care Workers West who say they are at risk of losing their contraception coverage because of where they work or attend school.